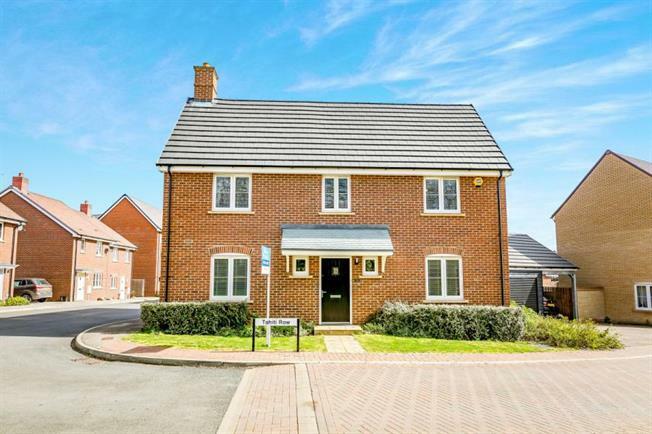 4 Bedroom Detached House For Sale in Milton Keynes for Offers Over £450,000. Presented in exceptional condition throughout, this four bedroom detached family home is located in the popular development of Newton Leys. In brief this property boasts a modern Kitchen/Diner with double doors leading to rear garden, large lounge, separate family/Dining room and downstairs cloakroom. The First floor comprises; Four double bedrooms with en-suite to master and a family bathroom. Outside the property offers an enclosed rear garden with patio and lawn, a single garage which has been converted into a fully insulated studio/ home office and off road parking for two vehicles.